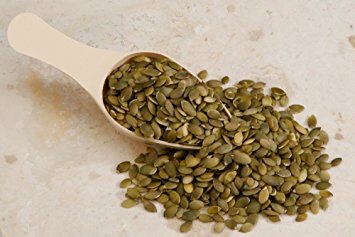 Pumpkin seed oil has an intense nutty taste and is rich in polyunsaturated fatty acids. Pumpkin seed oil is made by pressing roasted, hull-less pumpkin seeds, from a local Slovenian variety of pumpkin, the Styrian pumpkin. It has been produced in Slovenia since the 18th century. Made from the best Slovenian pumpkins the oil is a treasure of vitamins. It contains vitamins A and E. Vitamin E is especially important due to its antioxidant properties. pumpkin seed oil is one of the vegetable oils with the highest vitamin E content. Pumpkin seed oil we stock is from The Pumpkin House and contains 50 mg of vitamin E per 100 grams of oil. Vitamin A is also indispensable to our health because it works similarly to vitamin E, as a free-radical scavenger, strengthens the immune system and maintains good eyesight. Aside from the health benefits pumpkin seed oil is a culinary specialty, which has a variety of used. Make full flavoured salad dressing, add to pesto's and use for desserts to add a rich nutty flavour. Why not try making a pumpkin seed oil mayonnaise in the below recipe. Mix Mayonnaise and oil in the bowl. It is an amazing match with chips or wedges!